Light-colored stools in infants or adults can be caused by lack of bile in the digestive system. Hepatitis B, irritable bowel syndrome, or a stomach infection can cause clay-colored stool, also known as acholic stool. Read on for more information about causes and treatment options. Looking at your stool (poop) in the toilet may not be enjoyable, but being aware of the color and consistency can shed light on your overall health and signal the presence of possible underlying conditions. The color of stool is determined by diet and the amount of a substance called bile remaining in the stool after digestion. Bile helps break down dietary fats (lipids). 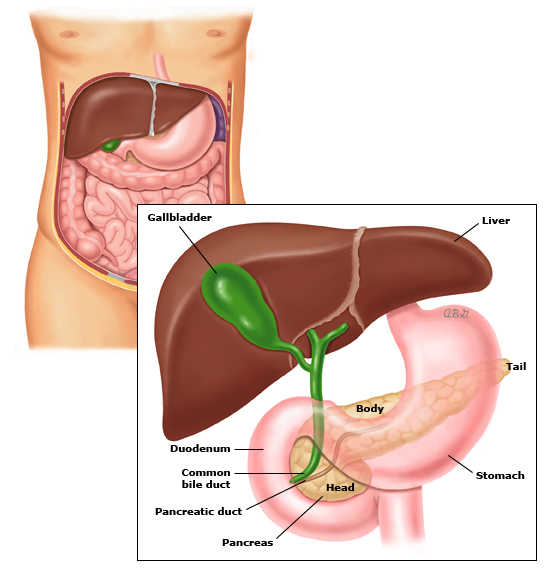 Bile is produced by the liver and stored in the gallbladder, which is located just underneath the liver. See an image of the liver and gallbladder here. When there is too much bile in the stool, it can appear green. When there is a lack of bile in the stool, it can appear light-colored or white. White or light-colored stools are most often seen in infants but can occur in adults as well. Jaundice: This is yellowing of the skin and eyes. Jaundice: This is yellowing of the skin and eyes . General discomfort: Increased crying, fussiness, etc. Light-colored stools, in both adults and children, are always abnormal and require prompt follow-up with a physician. Liver: The liver is the largest abdominal organ responsible for multiple metabolic processes of the body including processing food into energy, removing toxins from the body and storing nutrients the body can use for later. Gallbladder: This is a small organ under the liver that stores a fluid called bile. Bile helps break down fat. 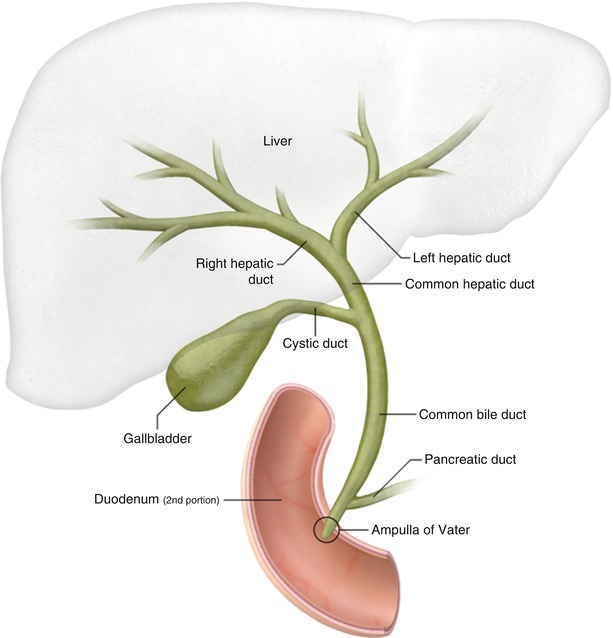 Common bile duct: The common bile duct is an important tubal structure that connects all of the organs above and allows for bile to flow properly through the digestive system. It carries bile from the liver and gallbladder through to the small intestine. See an image of the biliary system here. These organs and ducts work together to make, store and secrete bile and any condition that disrupts or damages this system and decreases or prevents the flow of bile can result in light-colored stool. Obstructive causes that can result in light-colored stool include the following. Developmental: In infants, abnormal development of the biliary tree can result in complete loss of patency (closure) of the ducts, impeding bile flow at birth and resulting in acholic stools. This condition is known as biliary atresia. Biliary atresia is the most common cause of neonatal jaundice and the most common reason for liver transplantation in children . Stones: As discussed above, the gallbladder is a component of the biliary tree. Often, stones (gallstones) can form inside the gallbladder. When gallstones obstruct the common bile duct . This obstruction can impede bile drainage and prevent bile from being excreted into the stools. Cancer: Any malignancy of the biliary tree can result in obstruction of the ducts necessary for bile flow. For example, cancer in the head of the pancreas can directly impinge upon the common bile duct as seen in this image here. The liver is susceptible to inflammation (hepatitis) and injury from a variety of causes. Since the liver produces bile, hepatitis can result in decreased production of bile leading to light-colored stools. Infectious: Although bacterial, fungal and parasitic pathogens can also infect the liver, the main infectious agent of the liver is viral. Viral hepatitis, in addition to many other side effects such as nausea, vomiting, fatigue, fever, can result in clay-colored or light stools. Autoimmune: Many inflammatory diseases that result in the body attacking itself can also affect the biliary tree and its organs, cause injury that results in damage to the liver, and, ultimately, decreased production or flow of bile into the stool. For example, primary biliary cholangitis is a condition where immune cells attack the bile ducts and cause destruction and eventual disappearance of the ducts . Dietary reasons for light-colored stool can include the following. Medications: Medications such as PeptoBismol and other drugs used to treat diarrhea can cause light-colored stools when they are taken in large doses or consumed for a prolonged period of time. Toxic substances: Alcohol can be toxic to the biliary tree, primarily the liver, and cause hepatitis. The list below shows results from the use of our quiz by Buoy users who experienced light-colored stool. This list does not constitute medical advice and may not accurately represent what you have. Liver cancer can be caused by a primary cancer of liver cells or metastatic cancer to the liver from another part of the body. Primary liver cancer is almost always caused by an underlying chronic condition affecting the liver (virus, toxins, etc). Surgery: Surgery is often the first-line treatment option for obstructive causes leading to light-colored stool. For example, surgery to remove gallstones or the gallbladderentirely (cholecystectomy) is a common procedure, especially forpeople whosuffer from chronic gallstones. Medications: If your symptoms are inflammatory in nature, there are many medications your physician may prescribe in order to alleviate your symptoms. For example, in the case of viral hepatitis, there are antiviral medications for some strains (Hepatitis B). Cancer treatment: If your associated symptoms aredue to cancer, your physician will discuss treatment options including surgery, radiation or chemotherapy. Here are some frequently asked questions about light-colored stool. Can I prevent the formation of gallstones? Yes, maintaining a healthy weight and exercising regularly are the best ways to prevent the formation of gallstones. Studies show that people who are overweight are more likely to develop gallstones. Should I be concerned if I notice light-colored stool? Light-colored stools are not normal and should be followed-up promptly with your physician or healthcare provider. Light-colored stools may signal an underlying obstruction or disease-process of the organs of the biliary tree. There are unique resources that have been tested for the proper identification of light-colored stools, such as a mobile app . Should I be concerned if I notice that my baby has light-colored stool? Yes, light-colored stool (also known as acholic stool) in an infant can be a sign of a condition called biliary atresia. Biliary atresia is a disease of the liver and biliary tree where the bile ducts develop abnormally and are too narrow, blocked, or completely absent. This condition requires surgical treatment and in some severe cases may necessitate a liver transplant. Do gallstones have to be removed with surgery? No. Gallstones do not have to be removed with surgery. There are oral medications that can be taken to break down or dissolve gallstones without surgical involvement. However, this is not always the best solution for everyone. The success of oral therapy depends on the size and composition of the gallstones in addition to the functionality of the gallbladder and duct system. Discuss these factors with your physician and all of your options for treatment. Are any of the hepatitises curable? Hepatitis A and B are not curable, but they are very manageable using antiviral therapies, and at times, just supportive care. However, due to advances in drug treatments approved by the FDA, Hepatitis C is now a curable disease. According to Jeffrey S. Murray, MD, an internist at the FDA who specializes in infectious disease, "Hepatitis C can be cured and today's drug therapies are very effective and easier for patients to take" .